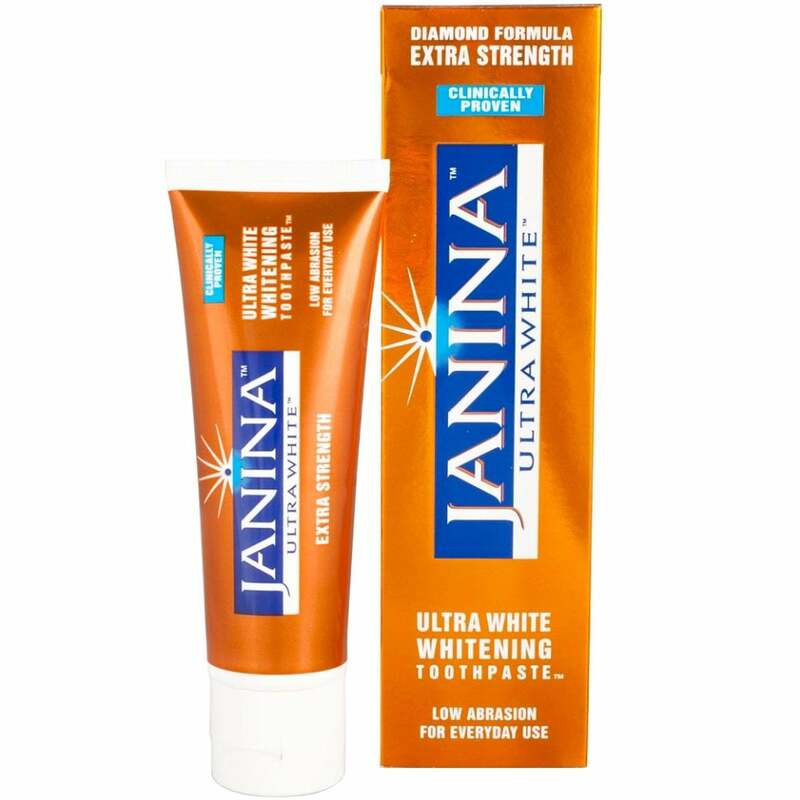 Janina Ultra White Extra Strength Toothpaste (75ml) effectively and rapidly whitens teeth without using damaging abrasives. Formulated with a strong dose of patented Bromaine Complex, it contains natural fruit enzymes, derived from Pineapple and Papaya, which remove surface stains deposited by tea, coffee, nicotine and red wine. Including optimum levels of fluoride, this toothpaste prevents decay, controls plaque and tartar, and encourages healthy gums and teeth.